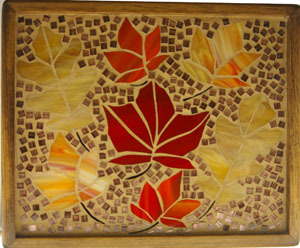 A box of pre cut mosaic glass pieces with a bit of sparkle inspired me to make a new leaf design. All the background pieces are square square. This design will be a favourite with people looking for a souvenir of Canada.